Esperanza meets Atlas by the fountain, as promised. He wears regular clothes on top of his black suit so she doesn’t suspect anything, and holds a chai tea latte, Esperanza’s favorite, in either hand. Luckily, the park is deserted, and only the whisper of leaves and the occasional speeding car interrupt the scene. A homeless man lies on a bench at the other end, an empty whiskey bottle half hidden in a nearby bush, but otherwise, there are no witnesses. “I brought this for you,” he tells her as he holds out the peace offering. She kisses him full on the mouth, preventing him from saying more. “You’re always trying to talk,” she says in what she’s trying very hard to make her sexiest voice. “Let’s try doing something else for a while.” Her lips taste like chocolate coated strawberries—literally. She must have just applied a gloss for this exact purpose. So many men would kill to be him right now, and all he can think about is Aria. In order to stop Esperanza from making out with him, Atlas has to physically hold her at arm’s length. She struggles like a fish, flipping her shoulders back and forth in order to escape his grasp, and is surprisingly strong for a dancer. That stops her fast. “What about my father?” she says in an unfamiliar, hostile tone. Her face, normally smooth and perfect as Mary’s mannequin’s, crumples. She pulls her hand away from his, and he can see a few tears collecting in the corners of her eyes. “Not so fast,” a voice says behind them. 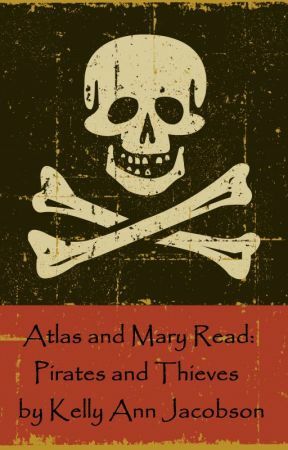 Mary drops out of the tree, where Atlas totally forgot she’d been spying on their reunion, snatches the phone, and closes it as a man’s voice says, “Hola, mi hija.” In one smooth move, Mary throws the phone to the ground and smashes it with a violent kick of her heel. In her black spandex suit, leather boots, and reflective sunglasses, she looks like a cross between an agent from Men in Black and Trinity from The Matrix. True to character, she has sewn skull patches onto the tops of her boots. “Are you crazy?” Esperanza screeches. “That version of the iPhone hasn’t even been released yet! I’m going to kill you!” The skinny dancer flies at Mary like a feral cat, claws out and ready to pierce skin.